If you cannot wait until the weather turns warmer, and you can hold those house parties again, you are not alone. We all get the winter blues, and the best way of getting rid of them is by getting busy and preparing our home for the summer. From cleaning your gutters to painting your fascia boards, and decluttering the basement and loft, there are so many tasks to complete before you can host your summer party. Below you will find a simple guide to spring clean your house to get ready for a stress-free summer. We all tend to store things in the attic, just to forget about them and find them years later. Whether you put your daughter’s doll collection in a box years ago, and they are now at university or still have your old blankets out there that you no longer need, it might be time to fill the trunk of the car and visit the local charity thrift store. You can donate clothes and blankets to your closest homeless shelter, and some organizations even offer a pickup service. If something broke during the winter that you have since replaced, it might be time to recycle them and free up space in the attic. More space means better air and a better chance of spotting signs of broken tiles or pest infestation in the summer. Your basement needs more attention after a long winter as well. If you have your furnace there, you might be lucky enough not to have damp and mold. However, if you don’t have any heating, it might be time to get a portable heater or dehumidifier installed, and leave the doors or windows open during the first dry days of the Spring. Get your vacuum and pressure washer in, and deep clean your basement. You can treat the wood to prevent rotting and improve its appearance and performance. When you start moving furniture around for spring cleaning, you might want to check for small gaps and cracks on the wall and in the corners. If you find them, chances are the weather did its best, and you need to get the contractors in as soon as possible. Check your ceiling, the walls by the window, and get an assessment done if you find gaps, signs of dampness, or cracks. When the weather gets warmer, creepy crawlers will also become active. If you use pest repellents in the problem areas of your home in the spring, you can prevent the unwanted guests from turning up. If you see signs of bugs anywhere, including in the basement or the porch, you need to get in touch with Reynolds Pest Management the best termite company to take care of the issue before you get invaded by bugs and have no choice but watch your property being damaged. 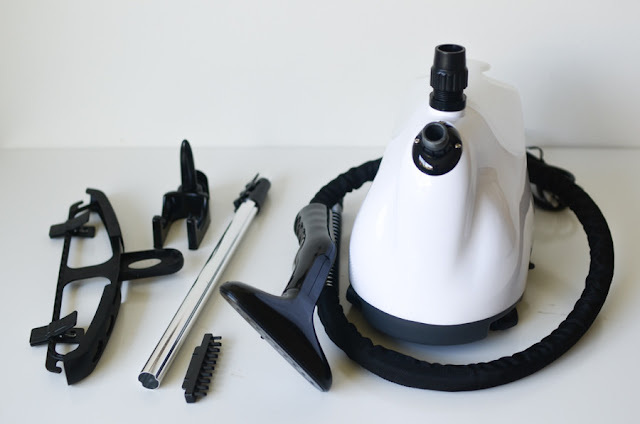 The best way of spring cleaning your toilet, kitchen, laundry room, and bathroom is by using a portable steam cleaner. You can disinfect the tile floor and walls, and get rid of the nastiest stains you thought you had no chance of eliminating. Steaming your oven and microwave will get rid of burnt-on grease, and leave your kitchen sparkling for the summer. When Spring arrives, you might also want to check out the condition of your garden furniture to get ready for the summer parties. Give the chairs and tables a good clean, and use a pressure washer to clean the patio and pavement. This will help you bring back the original color of your decking and tiles. Whatever is broken, get them replaced, and get rid of the dead plants in the garden, as well as damaged or broken planters. Once it starts getting drier and warmer outside, you can check your roof tiles, gutter, drain pipes, and unblock whatever is full of fallen leaves or dirt. Next, you have to pay attention to your fascia boards, handrails, stairs, and porch. Getting rid of the cracked paint by sanding down the surface, and using a paint sprayer will help you complete this essential regular maintenance job in a few days. Once you have managed to move your furniture around and cleaned everywhere you usually don’t get to, it might be time to give your ceiling and walls a wipe. Use a damp cloth or white vinegar if you have white walls or a soda crystal solution for washable wallpaper and coverings. You will be surprised how much dust and grease can build up on the top of your kitchen cabinets and on your ceiling. Wiping your walls and ceiling will get rid of all the smells that built up in your house during the long months, and give your house a fresh feel. Lastly, as a part of your spring cleaning routine, you should start descaling your household appliances and your taps. The best way to go about taps is getting a plastic bag or balloon, filling it with a solution, and attaching it to your faucet, using a rubber band. You can get professional limescale remover tablets for washing machines, dryers, and water boilers. Get in touch with your local plumber to find out whether or not your water pipes have limescale buildup that needs to be cleared. The first bright days of Spring are exciting and might get you thinking about barbeques and summer parties. While you might be ready for the summer, chances are that your house is not. Get your spring cleaning gloves on, dig out the steam cleaner and pressure washer, and transform your dull and tired looking house into something bright and sparkly. 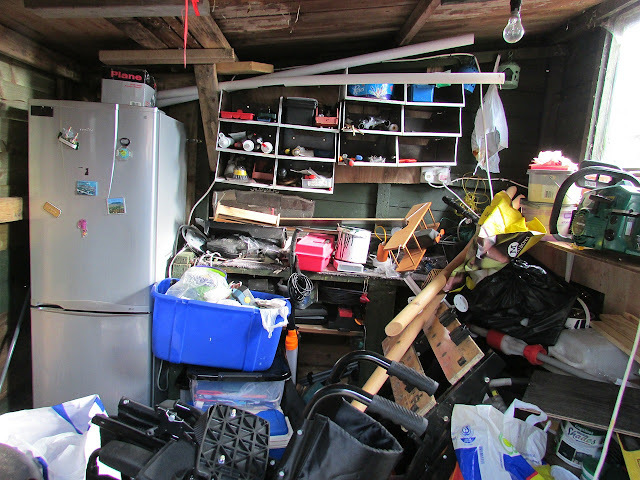 Declutter and look out for problem areas, get your heating and cracks fixed, and pest-proof your home, so you can make the most out of next summer.